Tea, Seasoning. 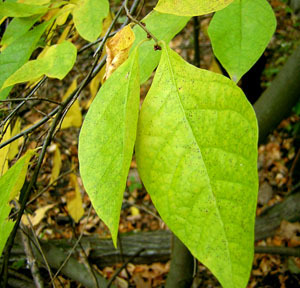 The young leaves, bark, and twigs can be boiled for tea in about 15 minutes. 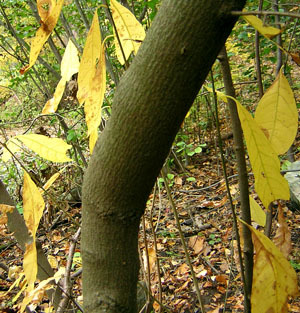 Growth Form: Small tree or shrub. Leaves: 2-6 inches. Aromatic when crushed. Thin, elliptical, toothless and almost hairless. Flowers: Clusters of yellow flowers precede leaves in the spring. Have a spicy scent. 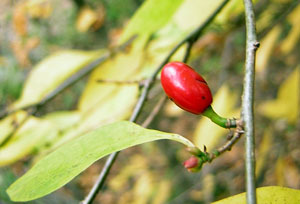 Fruits: Oval red berry with a single seed inside. Buds: Small, reddish brown, round, and with slight scales. Bark: Light brown. Can be smooth to rough. 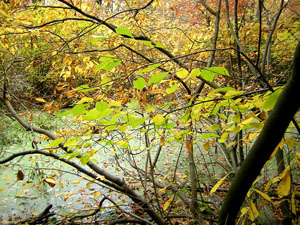 Damp woods, stream banks, wetland areas. Southeast Kansas, Iowa, Southern Michigan, Southern Ontario, Southwest Maine, south to Texas and Florida. Leaves harvested in spring or summer. The fruits can be harvested late summer to early fall.